Here is s beautiful brand new French styled wall hook and shelf. If your needing a brand new wall hook and shelf but not simple and boring then this is the best type we can offer you. With pretty French designs this is bound to add some French detail and design to your home. 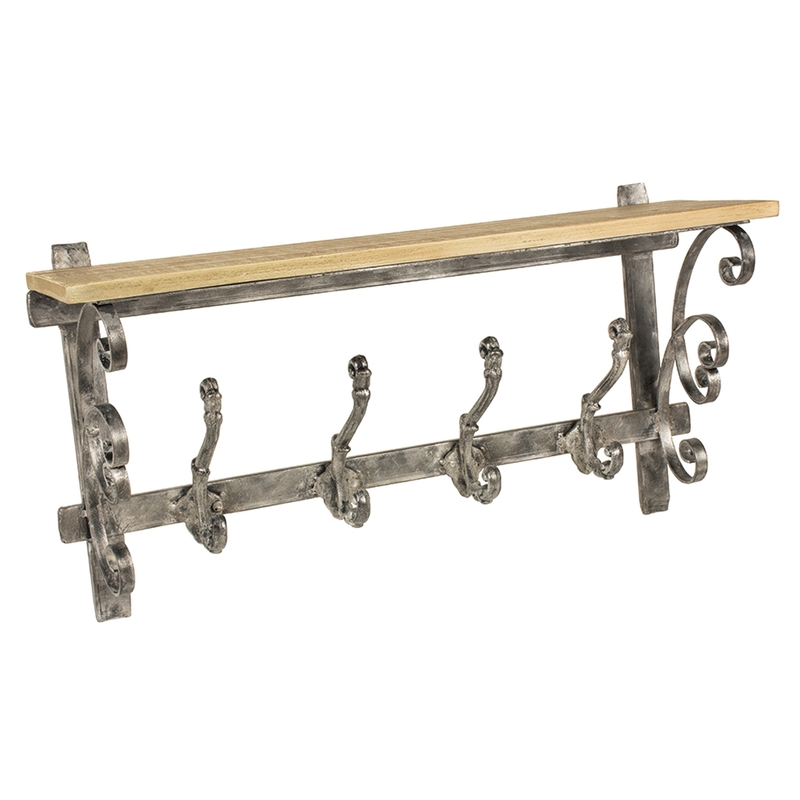 It has a distressed metal frame with a solid limed wood shelf. Four double hooks and scrollwork. Solidly welded.